Click the "Plus" icon in the lower right hand corner of the report editor, choose "Add Widget", then select your widget. You can add a widget from any integration to any PDF report page. 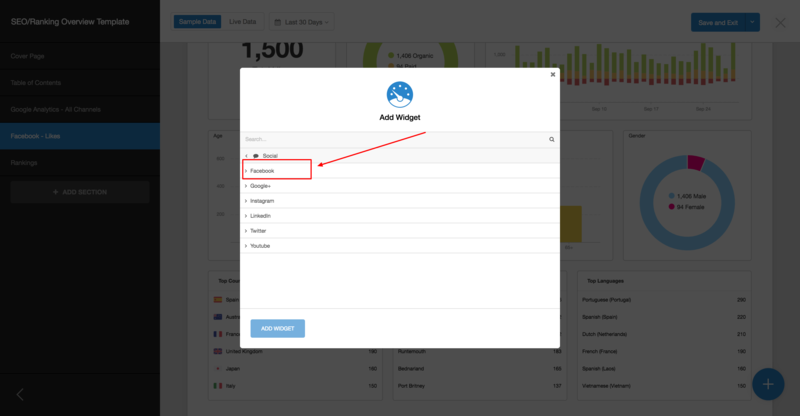 Widgets can be added to new blank sections or pre-built report sections. In the report editor, start by clicking the the plus sign in the bottom right hand corner. Select the "Add Widget" option. Next, you'll be presented with the list of all dashboard integration categories. Drill down to the integration for which you want to add a new widget. 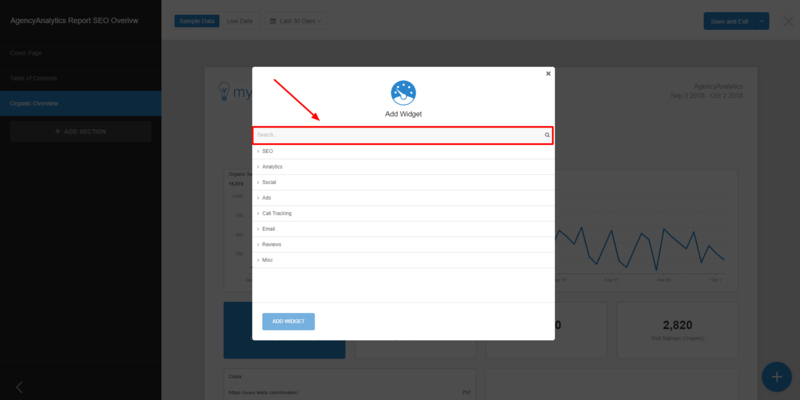 Note: If you already know the widget name or metric you want to add, you can also use the search function to locate your desired widget. Next, select the widget type and metric that you want to display. Once you've selected your widget, click "Add Widget".